Support your sport! 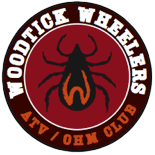 Join the Woodtick Wheelers ATV/OHM Club today! Click on pdf to download membership form.